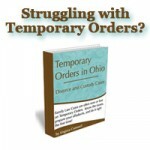 Since 2008, Ohio has had additional child support orders called “cash medical support orders”. These orders only come in to play when private health insurance is not available to the child who is the subject of the support order and/or the child is on Medicaid, Molina, Care Source or some other publicly funded health insurance. If the child is not on a publicly funded health plan, then the cash medical support goes to the residential parent. If the child IS on a publicly funded health plan, then the cash medical support goes to the county that is administering the plan or to the State of Ohio. Situations where the child is on a publicly funded health plan can be problematic when parties are in divorce or child support litigation, and part of the proposed settlement includes a “zero child support” term. Cash medical support is not subject to deviation. Therefore, if the child does not have health insurance, the non-residential parent (or non-school placement parent) is going to pay SOME child support, whether they like it or not. The parties simply do not have the power to bargain cash medical support away.